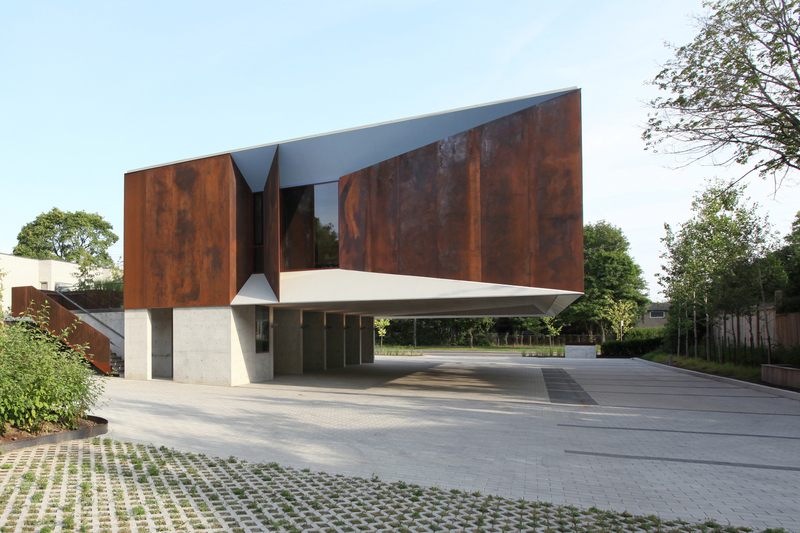 Loves seeing the corten and concrete e used in a multi-family apartment designs. 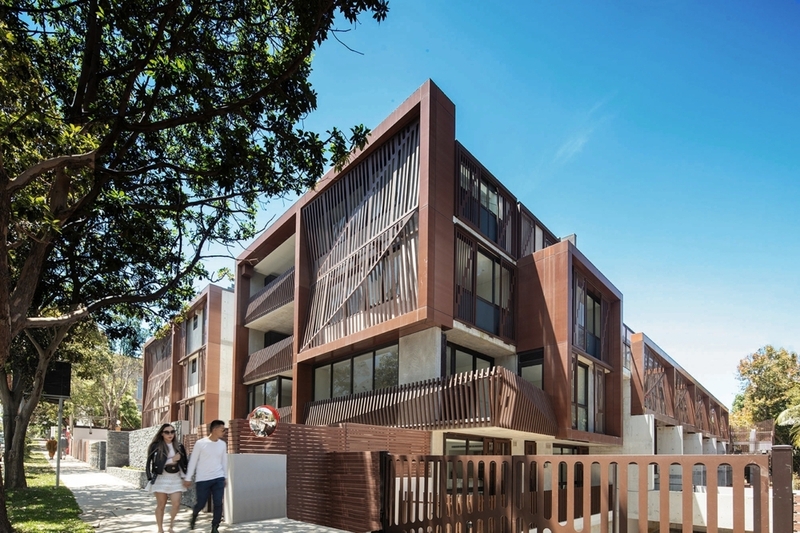 Astor is a 4 storey apartment complex is located in the North Sydney suburb of Crows Nest. 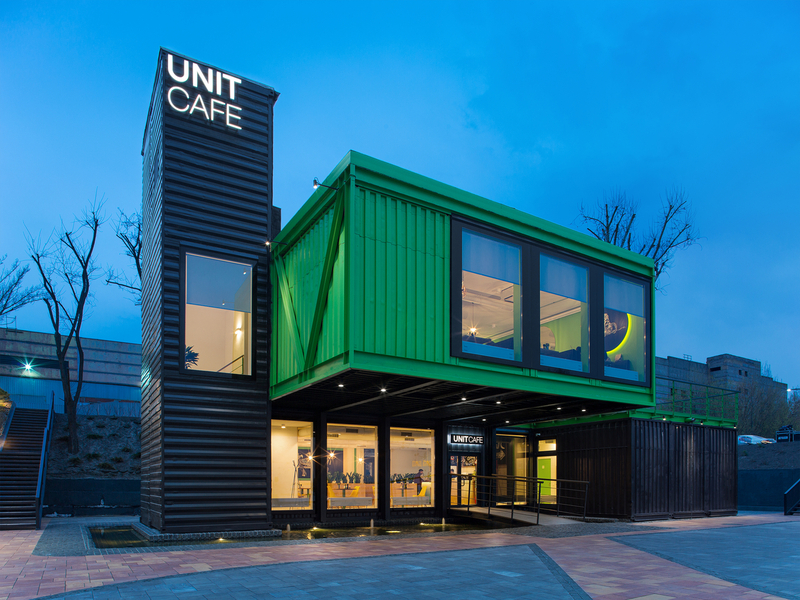 The design contains 50 units. The surrounding area is an exclusive leafy suburb thus the design had to achieve the highest standard of finish and quality. The site is located on a busy main road and is overlooked on all sides, so we designed the ‘U shaped’ scheme to face into a quiet central landscaped courtyard which is oriented north for sun. All of the units are accessed from this courtyard via outdoor screened walkways. Thus the design blends landscaped areas with the internal apartment spaces.